Yes, we are currently living in a world in which Nick Foles is the second favorite to win Super Bowl MVP. Of course, he is way behind Tom Brady in the odds department for the aforementioned honor heading into Super Bowl LII between the New England Patriots and Philadelphia Eagles on Sunday in Minnesota. Meanwhile, the proverbial second half of the NHL season is underway, and the Winter Olympics are not far away. Tom Brady (-130) - The Patriots are -4.5 favorites on Sunday. And if they manage to take care of business, Brady will almost certainly snag MVP honors for the fifth time in his career to go along with his sixth Super Bowl victory. At 40-years-old, Brady is also the frontrunner for NFL MVP. Nick Foles (+350) - Foles is an impressive 49-of-63 for 598 yards, three touchdowns, and no interceptions through two playoff games. If the Eagles pull off an upset, however, it will likely be in part due to a stalwart defensive performance. Philadelphia allowed a total of 17 points to Atlanta and Minnesota. Rob Grownkowski (+1200) - Gronkowski is listed as "concussed" on the Patriots' injury report, but he has practiced the last few days and is obviously expected to play. The star tight end is a +800 co-favorite along with New England running back Dion Lewis to score the game's first touchdown . Dion Lewis (+1200) - Lewis has played for two teams during his NFL career; you guess it-the Patriots and the Eagles. The 2011 fifth-round draft pick out of Pittsburgh will undoubtedly want to torch his former Philly squad. Lewis had 12 catches and five total TDs in the last three regular-season games. Tampa Bay Lightning (+600) - Tampa Bay returned from last week's all-star break with a 3-1 loss to Winnipeg on Tuesday. Still, the Lightning are leading the entire NHL with 71 points-one better than Vegas and three clear of the Jets. Tampa leads the league with 176 goals scored. 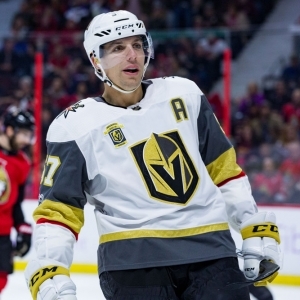 Vegas Golden Knights (+1000) - Vegas is quite simply looking like the best expansion team in NHL history. The Golden Knights are 33-12-4 following Tuesday's 4-2 victory at Calgary, and their 70 points have them atop the Western Conference. Their plus-38 goal differential is tied for second. Boston Bruins (+1000) - Boston's incredible 18-game point streak came to end with Tuesday's 3-1 home loss to Anaheim. It's safe to say the all-star break came at a bad time for the Bruins, who had not lost in regulation since Dec. 14. They are still second best in the Easter Conference behind Tampa. Washington Capitals (+1000) - Washington has always been a force in the regular season (two straight Presidents' Trophies and three in the last eight years), but it has not even been to the conference finals since 1997-98. The Caps currently lead the Metropolitan Division with 63 points. Nashville is a +1200 fifth choice. United States (-150) - A shot at redemption cannot come soon enough for the Americans. Four years ago in Sochi, Team USA led Canada 2-0 in the gold-medal game with less than four minutes left, still led by one with under a minute, and ended up losing in overtime. Canada (+120) - Canada has played in all five gold-medal games and has triumphed four straight times since losing the first Women's Hockey event to the United States back in 1998. The Canadians have gotten the best of the Americans in three of the last four gold-medal games. Finland (+1400) - Only once in the five-Olympics history of this event has the gold-medal matchup been anything other than Canada vs. the United States. It was Sweden that crashed the party in 2006, but it could Finland this time around. Finland captured bronze in 1998 and 2010. Russia IOC (+2000) - Russia, of course, is officially banned from the 2018 Pyeongchang Olympics due to a rampant doping scandal. Independent Russian athletes who are clean, however, can compete-and form a hockey team. But the Russians have never done much women's hockey. Jordan Spieth (+900) - Spieth has never made any secret about focusing almost entirely on majors while sometimes going through the motions at smaller events. The 24-year-old American played in Hawaii (ninth place in Kapalua, 18 th at the Sony Open) and skipped last week's proceedings at Torrey Pines. Hideki Matsuyama (+900) - Don't mess with Matsuyama at the Waste Management Open. He is the two-time defending champion in Phoenix and won each of the last two installments of this tournament in playoffs. Matsuyama finished fourth in Kapalua and is coming off a 12th-place showing at Torrey Pines. Jon Rahm (+1000) - Rahm has been on tour for only two seasons, and he is already almost No. 1 in the world rankings (he would have been with a title at Torrey Pines). The 23-year-old Spaniard's January included a runner-up performance in Kapalua and a victory in La Quinta. Rickie Fowler (+1200) - Fowler finished runner-up at the Waste Management Open in 2010 and 2016. He also tied for fourth in 2017. Needless to say, the 29-year-old American knows what he is doing around this course. Fowler, however, missed the Torrey Pines cut. Justin Thomas is a +1400 fifth choice.